1) Once you startup the Reallusion program, click "Sign me up!" 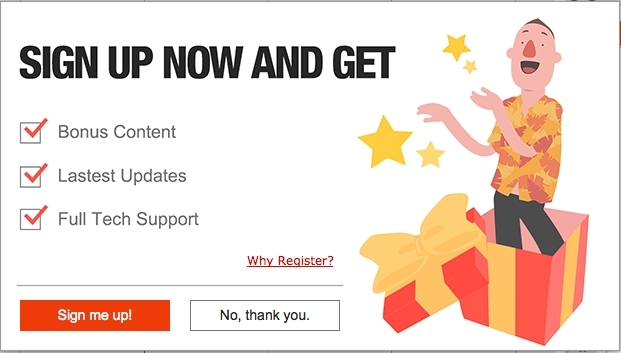 on the "SIGN UP NOW AND GET" screen. 2) Then, another screen will be pop-up for you to register or create your account. Please Sign In accordingly. This will automatically register your product under your login. 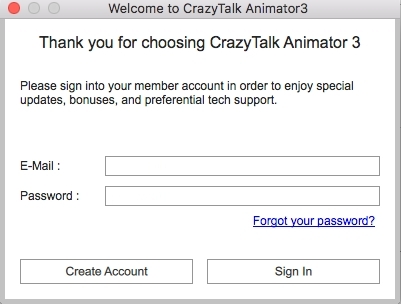 If you are a new Reallusion member, click "Create Account" button to register as a new member. 3) After product registration, login to the Reallusion member page. 4) Go to the "Registration" page, then select your product's "Download". 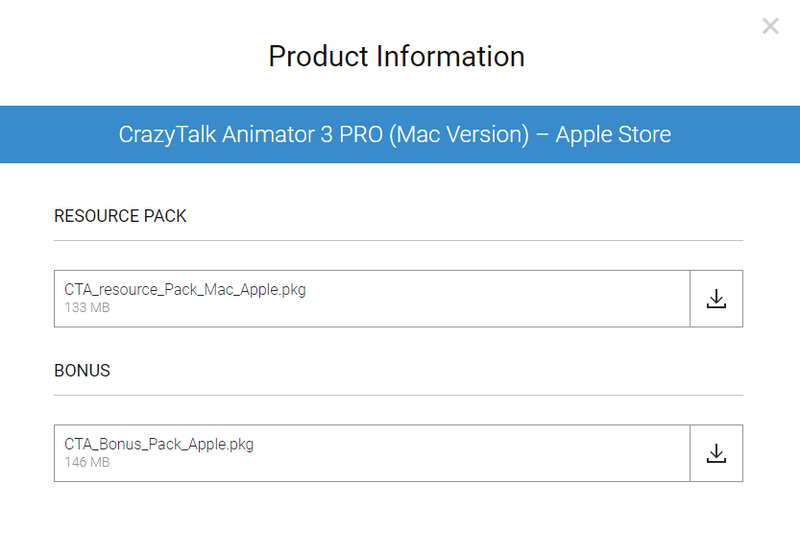 5) In the Product Information page, you can find the resource pack/bonus download section for the product you purchased. You may click the download link accordingly. 6) It is recommended to save the bonus content installer for future re-installation, since the bonus content will be overwritten once the Mac App Store updates the application.